The unrelenting storms of this winter clearly highlighted the scale of damage and disruption that can be wreaked on our coastline by Mother Nature, at her most ferocious. Whilst it wasn't the first time that the Dawlish railway line was severed, (it breached in 1846, 1855 and 1869) scientists predict that climate change will bring more frequent and intense storms as our atmosphere warms up and is able to hold more energy. If we really did have a taste of things to come in Devon this year then it’s clear that we need to do more to make our coastal communities more resilient and better able to cope with extreme weather. 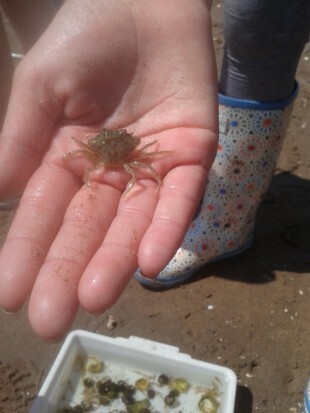 In the Living with a Changing Coast (LiCCo) project we are working with our partners in the National Trust, Devon County Council and the Dorset Coastal Forum to encourage communities to be prepared and to have a say in how their local coast is managed. Around both the Exe Estuary (Devon) and Poole Harbour (Dorset) we are raising awareness of flood risk and what individuals, businesses and communities can do to help themselves. By telling the story of an ever-changing coast, using historical materials such as old paintings, we can help residents and visitors alike to understand what causes coastal change and what they can do about it. 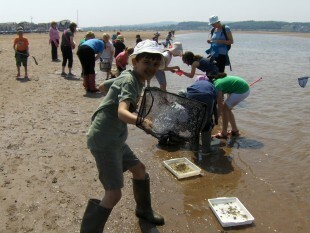 One of the most exciting tasks for the project is giving the next generation a better understanding of the complex processes that shape our coast, the importance of coastal habitats, the role of different organisations in coastal management and how tidal flood risk will change during their lifetimes. As well as using our sites as outdoor classrooms we are developing a series of bespoke resources for school children aged 7 to 16, which focus on sites within the Exe Estuary and Poole Harbour. We are rolling these out using free teacher training days in May and June. The response so far has been truly staggering with 170 teachers already registered to attend. Resources will be available after the training days as booklets, as DVDs or online.